The skin protection cream "Protect Series"
The skin protection cream "Protect Series" has protection effect on three types of skin troubles. "Protect X1", since its development in 2005, has been widely used in medical, nursing care, food producing, and industrial sites solving the problems of rough skin and dirt/smell penetration. 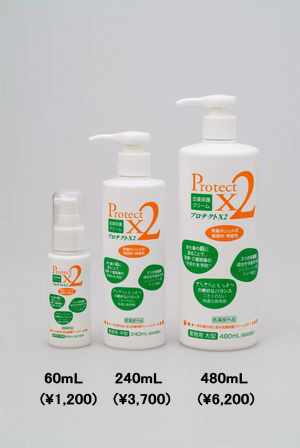 In Japanese pharmaceutical law, "Protect X1" is classified as a cosmetic, whereas "Protect X2" is classified as a quasi-drug. Ministry of Health and Labor defines quasi-drug as "in a certain effect it is equivalent of a drug". 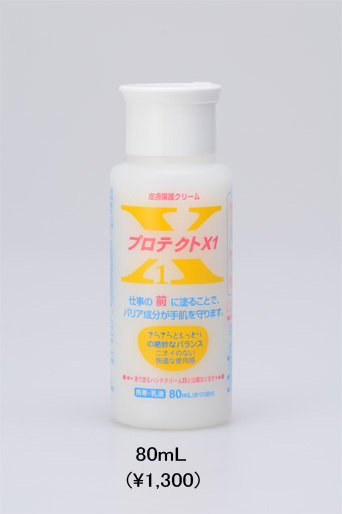 The skin protection cream "Protect S1" has the same ingredients, structure and effects of "X1". When "Protect S1" is applied before their activities, its ingredients penetrate into the skin and create a protection layer to prevent the skin surface from scratching. Since July 2011, the forth skin trouble of Burn and aging due to UV is added in the effect. 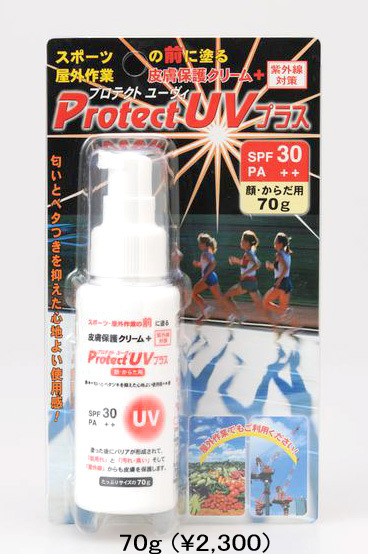 When actively participate in a sporting event outside involving scratches and exposure under sun, "Protect UV+" prevents both skin troubles of scratch and UV burn. 2012 (c) Earth-Blue.Inc. All Rights Reserved.